Description: “Fiji” was added to our herd from the 2017 Top Line Farms production sale to add phenotype, size and performance to our herd. Her show record is building rapidly with a division win at our IL State preview and winning her class at the 2018 National Jr Angus Show. Her show ring record was outstanding with a division Champion and 5th best heifer at our IL State Preview Show, class winner at the National Junior Angus Show and division Champion at the IL State Fair Jr Show. 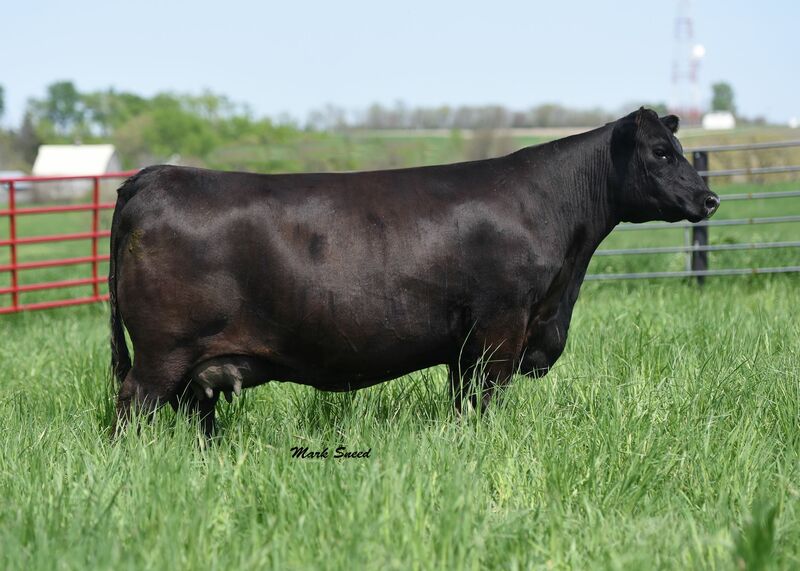 Description: X424 was acquired from the 2017 Montana Ranch bull and female sale as a featured donor cow, she appeared in the pedigree of three of their top bulls in the sale. 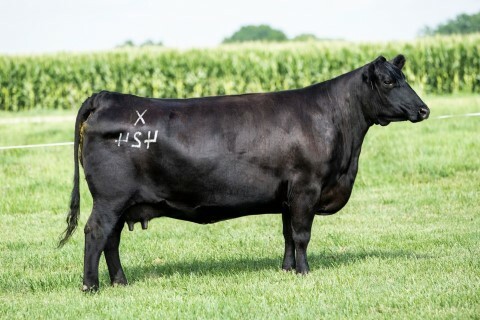 Her dam is a maternal sister to the Pathfinder sire Sitz Tradition RLS 8702 and she was represented as “one of the most influential dams in the Montana Ranch program.” We are very excited to add this maternal line of cattle to our donor roster, her foot quality, size and udder quality will help us produce more herd building Angus genetics. She will be flushed to SAV Cut Above, Musgrave Stunner, SAV Raindance and SAV Renown. Description: Acquired 2500 from the 2018 Janssen Angus production sale as their featured donor cow. We also added her September 2017 daughter by SAV Sensation. She posted impressive ratios on her first 2 natural calves and we anxiously await her 2019 calf by the breed record selling SAV President. We expect her to produce herd building Angus genetics for us and our customers.